1. Find friends and family. 3. Share photos and your favorite memes. 4. Get notified when friends like and comment on your posts. 5. Find local social events, RSVP, and make plans to meet up with friends. 6. 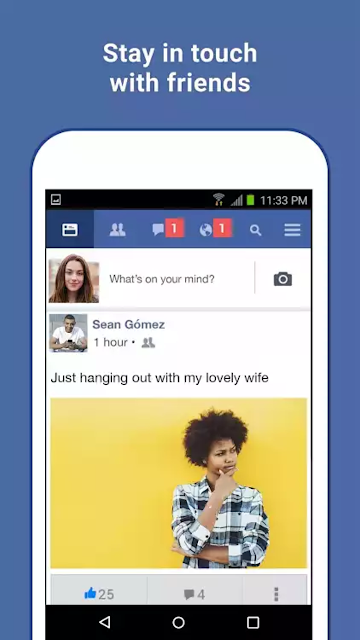 Interact with your friends by adding your own comments or reactions to their Facebook posts. 7. Save photos by adding them to photo albums. 9. Look up local businesses to see reviews, operation hours, and pictures.